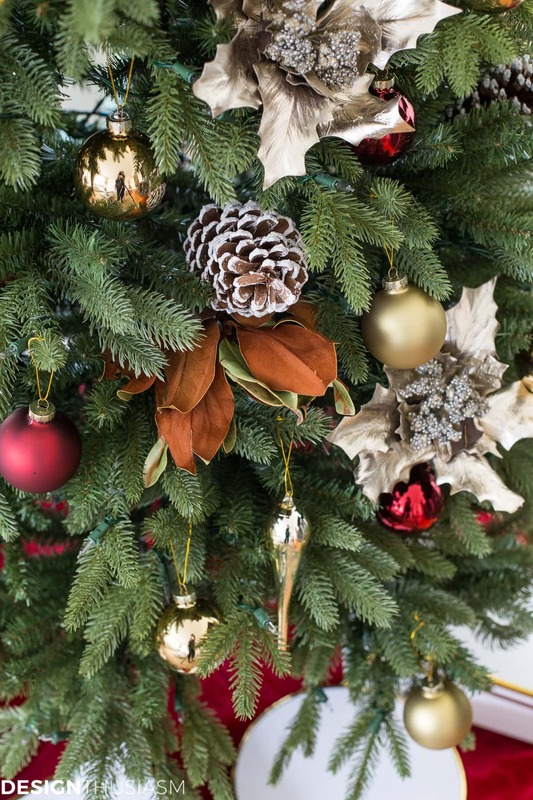 In this post: Do you coordinate your Christmas colors with your home decor? 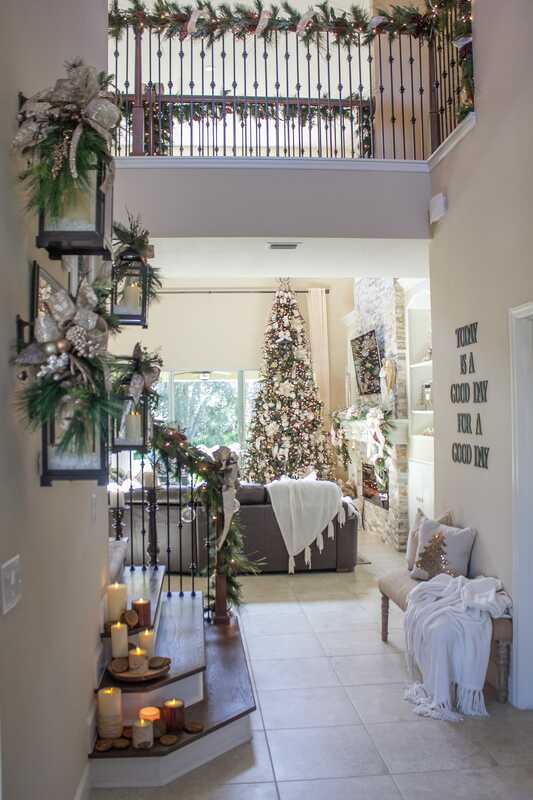 Plan ahead now to tailor your holiday decorations to reflect your home updates. I know, I know. It’s not even fall, let alone Christmas! But stay with me for a minute because I have a tree to giveaway. If you’re using the lazy days of summer to do some organizing at home, now is the time to think ahead. 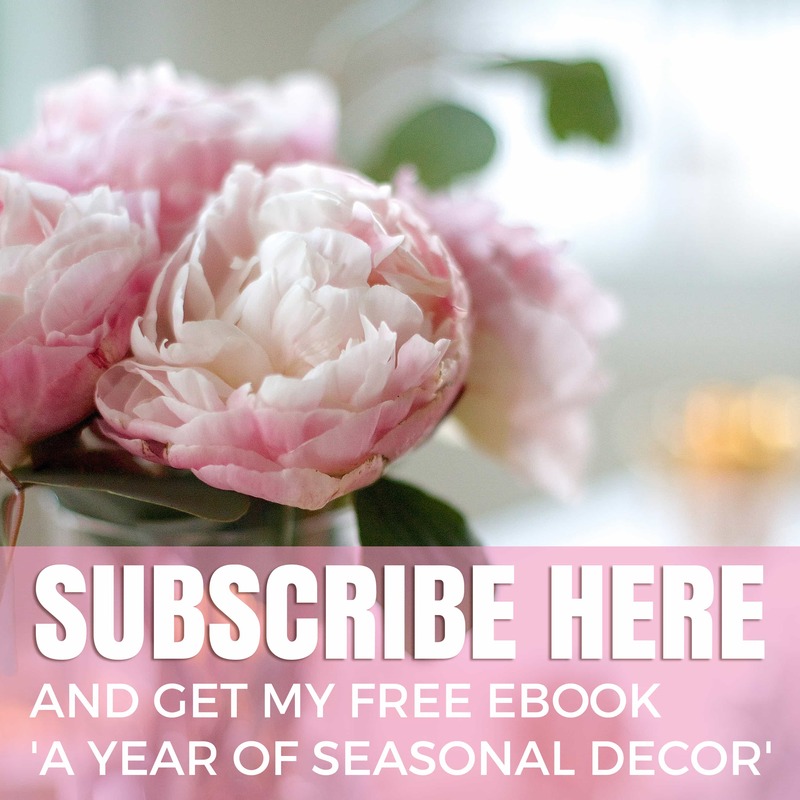 Do you maybe have too many holiday items? Are there things that worked in your old house that perhaps don’t fit anymore? 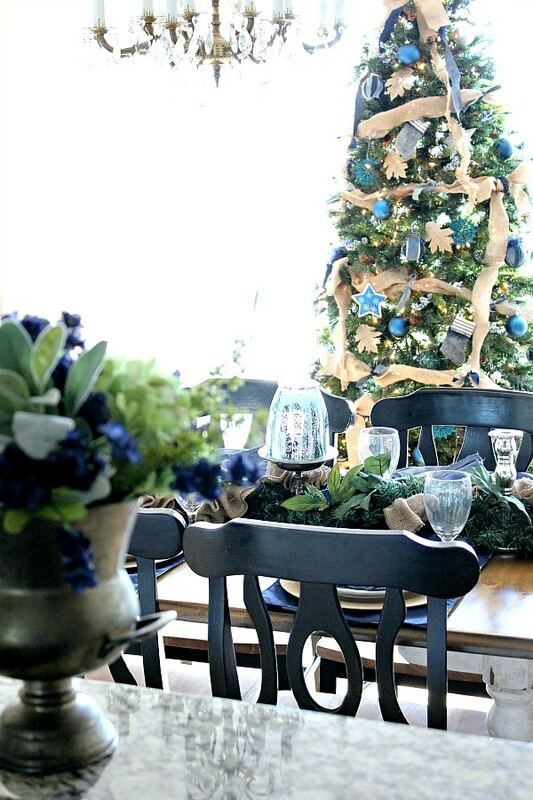 Have you changed your color scheme at home since you last decorated for Christmas? This last one was the motivation for this post for me! I changed a lot. Things I haven’t even revealed yet. 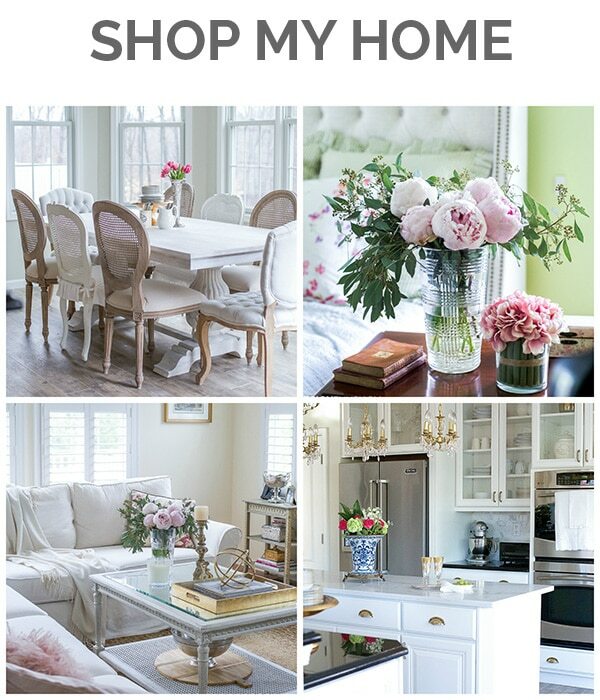 And the photo above was the inspiration for one of those room changes. As I’ve been updating I’ve been cleaning things out. When I have a room that’s freshly done, I just want to get rid of the clutter. One new tree instead of three old ones. Fresh colors instead of the same old thing. What will work with my new living room palette? 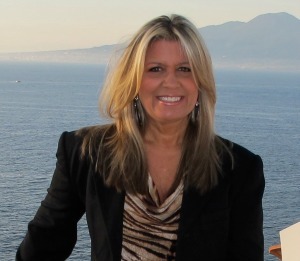 Today I’m partnering with a fun group of bloggers and my sponsor, King of Christmas, to visit this topic. If you’re coming over from Cuter Tudor, let me extend a special welcome. 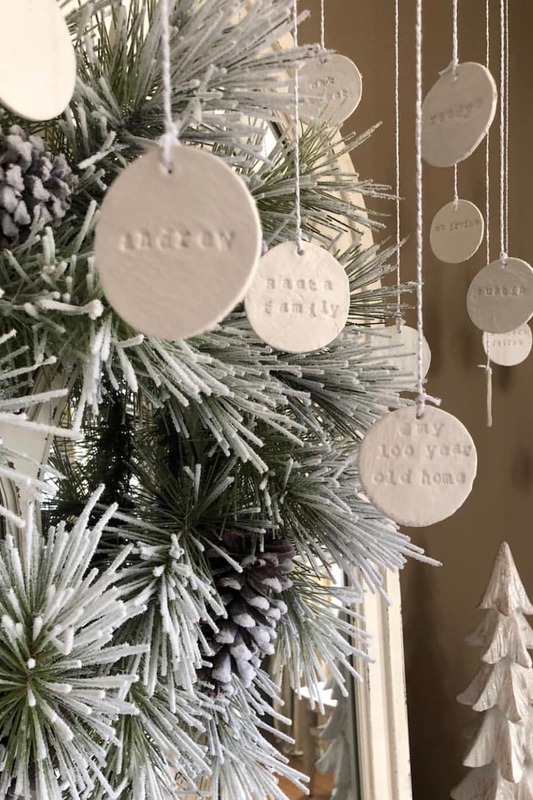 We also have a lovely flocked tree to giveaway to one lucky winner! But first, let’s look at my color palettes from some Christmases past, as I begin to decide what I will need this year. Perhaps you, too, will set your Christmas colors for this season. 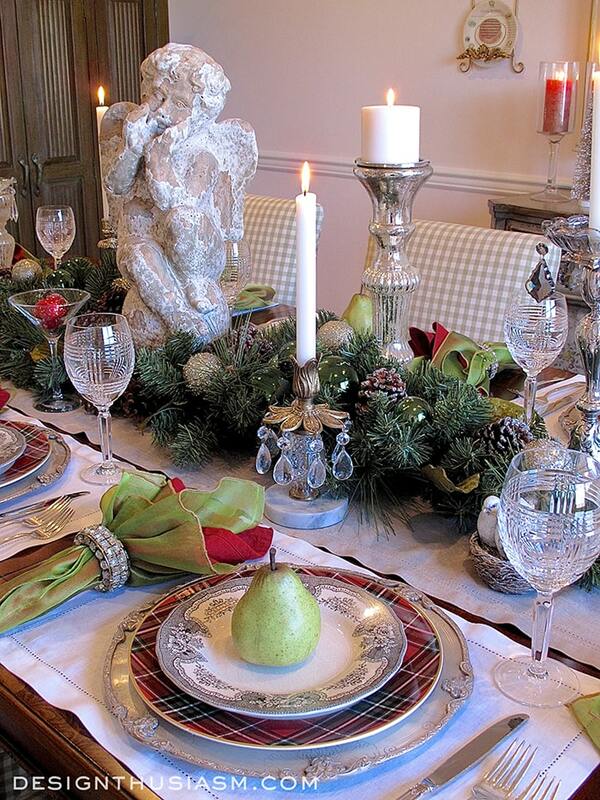 If you’re a classicist you may love the vibrant red from my Christmas Kitchen Decor, above. 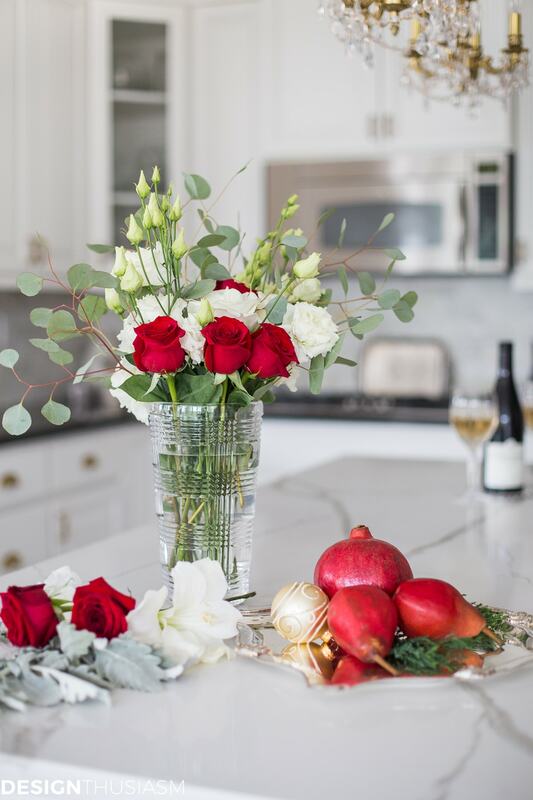 The pops of red are gorgeous against crisp white, but I’m thinking of going softer to reflect my mood this year. 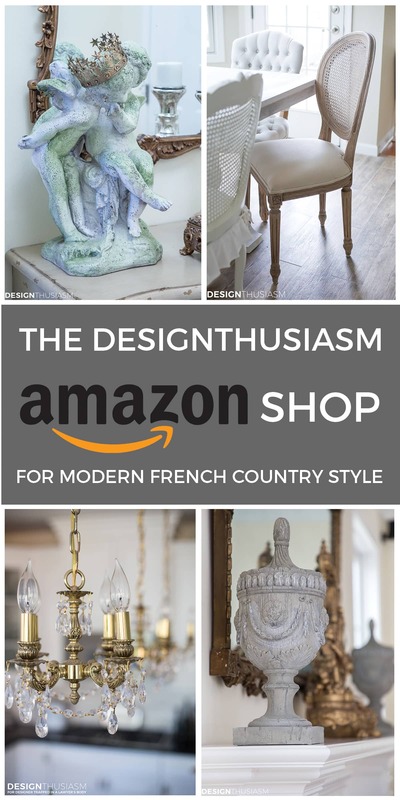 My living room, like much of my home, has moved toward neutral and so I can easily decorate with a lot more freedom. 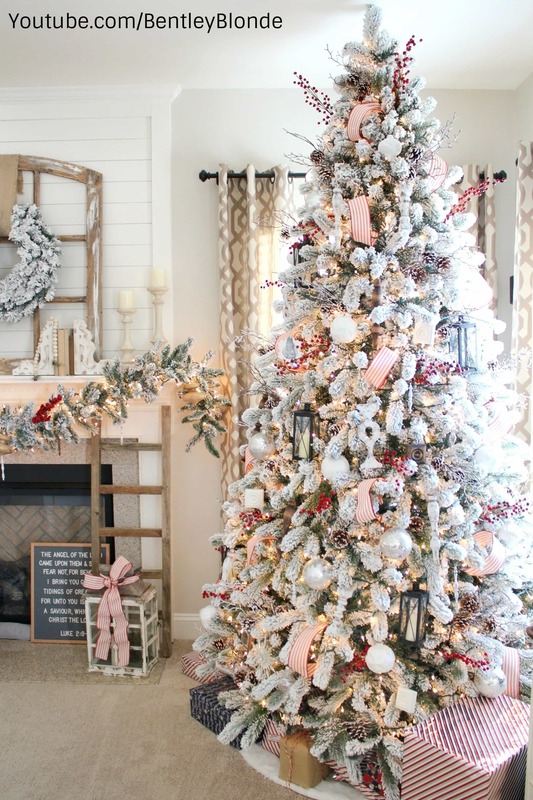 It was inspired by the white and blush palette above, from Complementing Your French Style With a White Christmas Tree. In fact, the day I put the tree up and moved the gilded chairs into the space was the day I decided my living room needed a re-do. 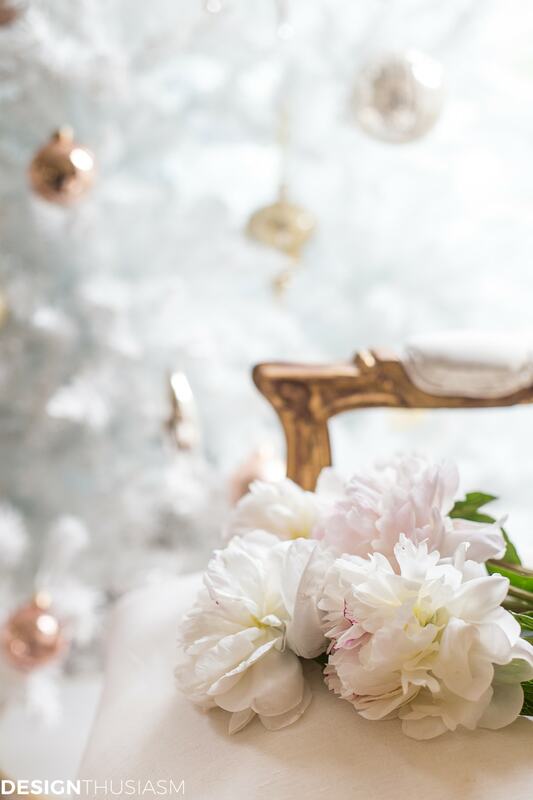 You may remember my teacup tree from How to Add Personal Style to Your Christmas Tree. This tree was all golds and silvers, with a pop from my vintage china cups. I think this look would look pretty on a flocked tree like the one from King of Christmas. 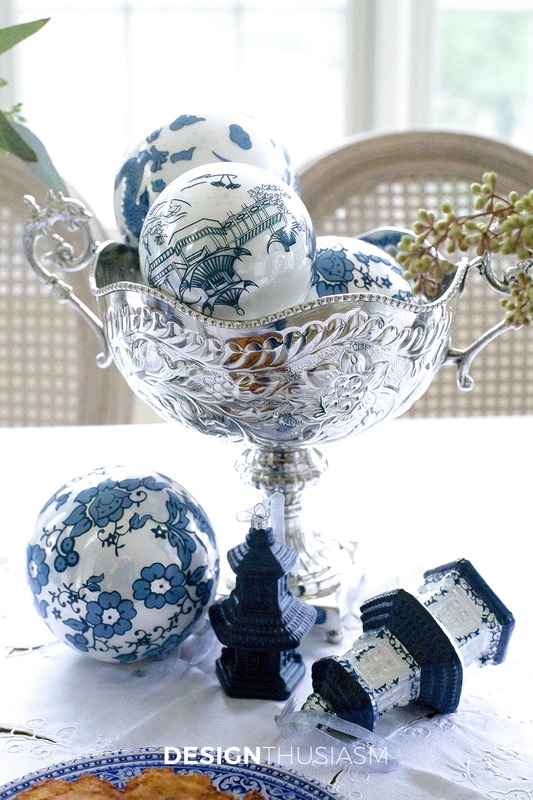 I also played with some blue and white chinoiserie in Using Blue and White Chinoiserie for Hanukkah Decorations. 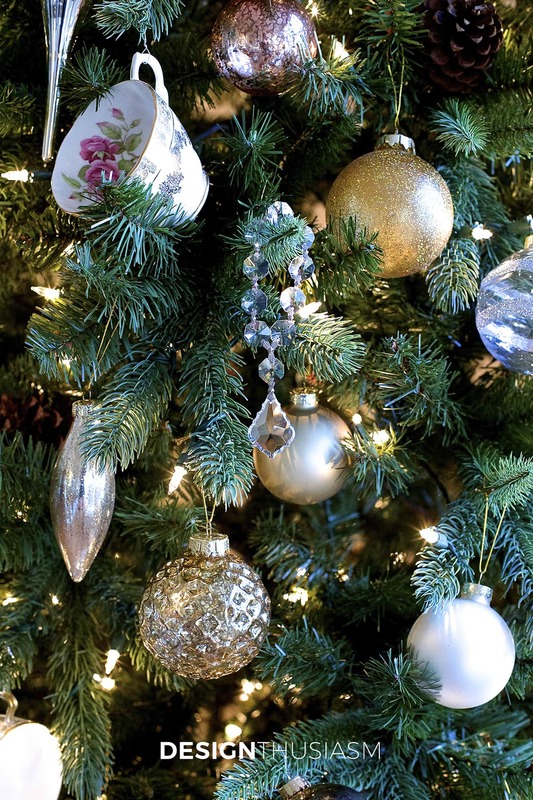 These ornaments work beautifully for Christmas, as well, and look wonderful against a big fluffy spruce or fir. In a neutral white or gray room this palette would look awesome. 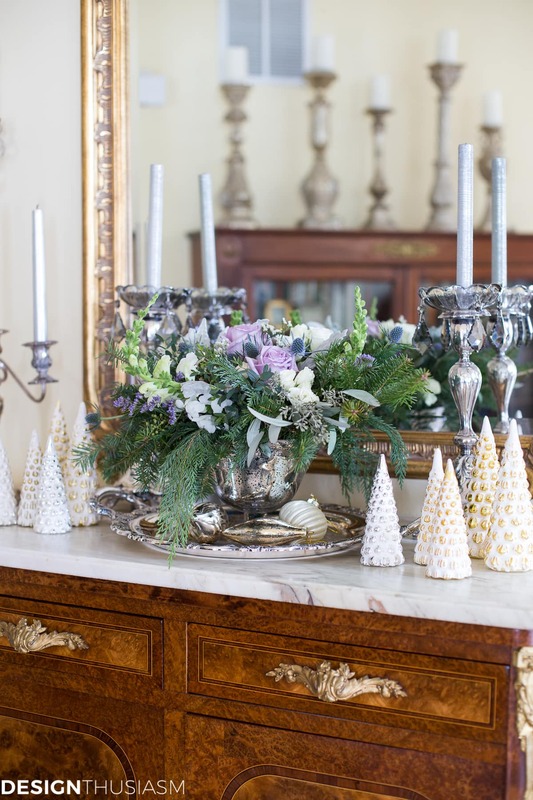 With whites and silvers I love a pop of lavender, seen in this wintery post Transitioning to Winter Decor. 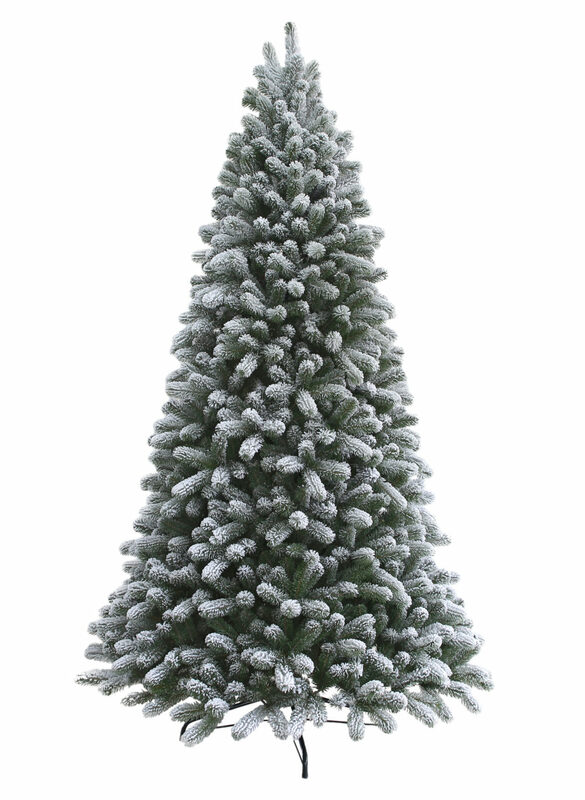 This is a color scheme that would be lovely with a pale tree, either in white or a heavily flocked green. 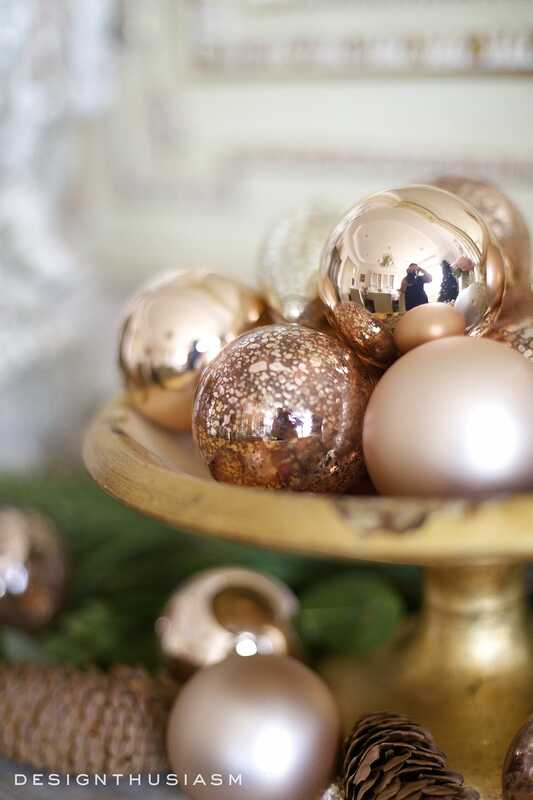 One of my all time favorite twists on Christmas colors is the use of rose gold. 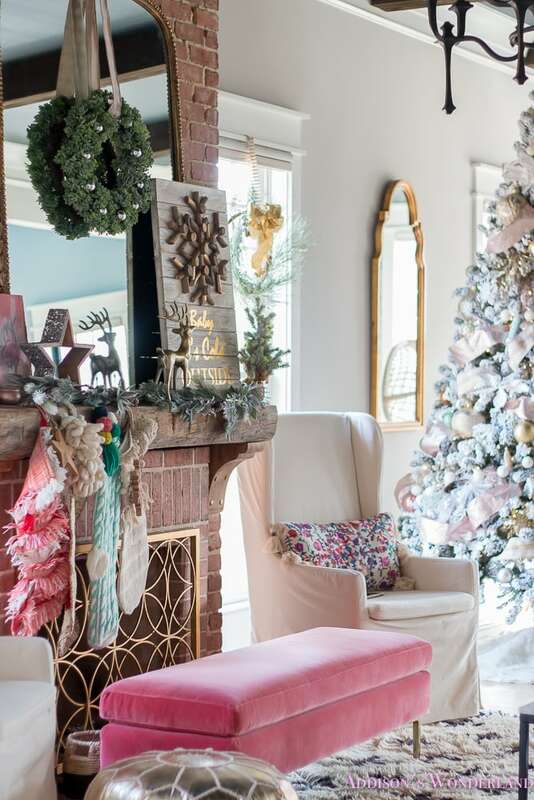 The beautiful warmth of this pinky tone is so pretty for the holidays and you can see it here in How to Use Rose Gold Christmas Decor for the Holidays. But with griege this year I may opt for cooler tones. 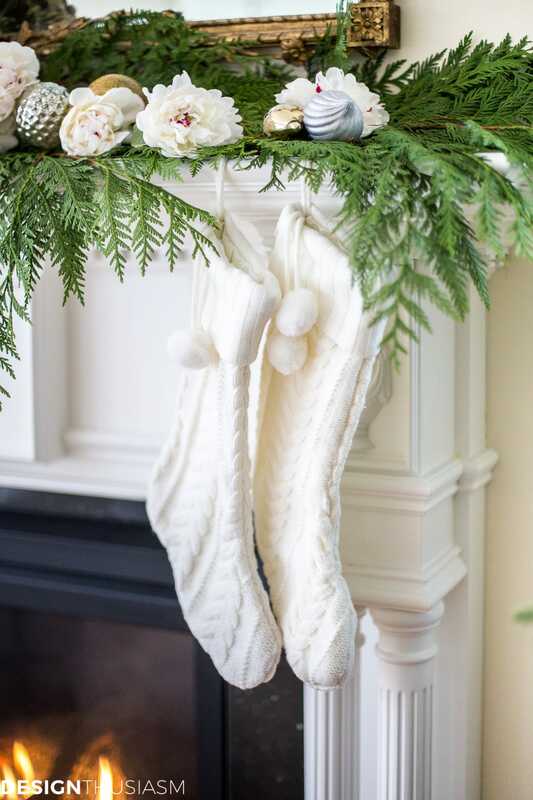 How pretty is it to stick with creamy ivory and a bit of greenery? The magnolia leaves added a charming note and you can see details of this table at White Roses and Magnolia Leaves. Sometimes you go all in with the full breath of Christmas colors as I did in my post Adding Cheer to the Family Room with a Slim Christmas Tree. But I secretly felt it was a bit too much against the pale yellow walls. That won’t be a problem this year as the yellow is gone! 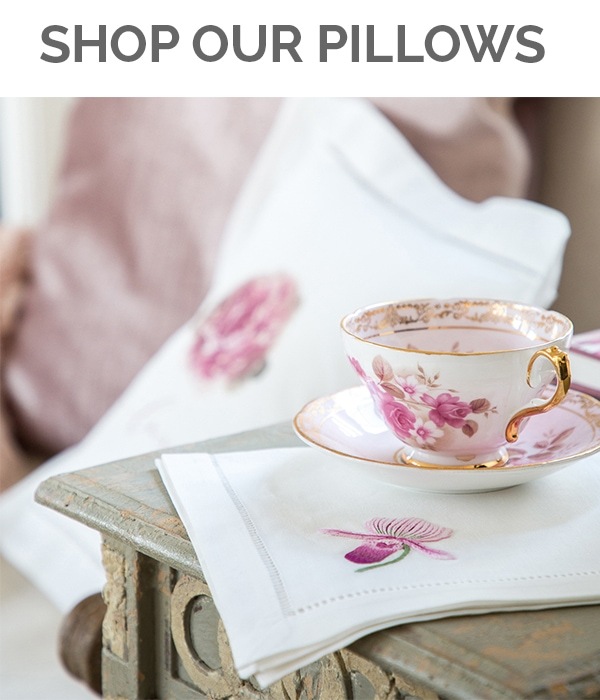 Ultimately, I often return to using pink, which is simply one of my favorite colors. 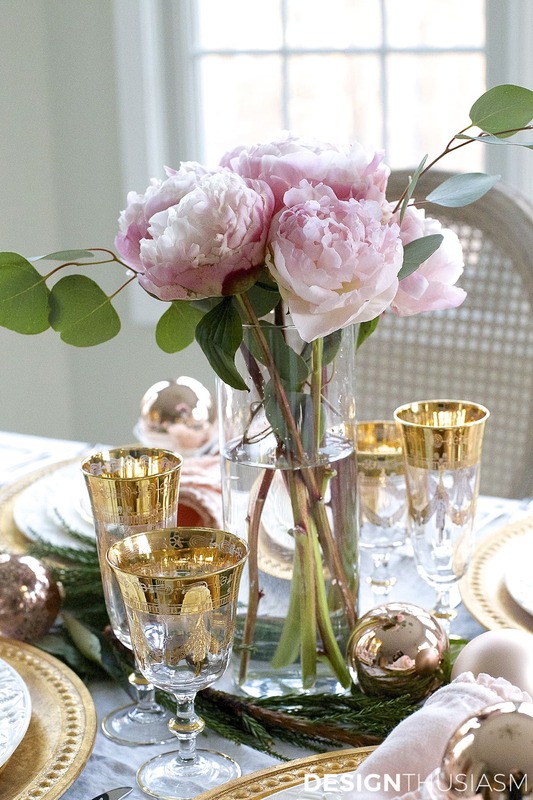 I was utterly delighted to find peonies in December which inspired this tablescape, Elegant Christmas Table Setting in Pink and Gold. I could very well work with pinks this year, but maybe with a softer metal. I think my holiday palette this year will be based around white, the softest tone I can think of. I picture using it in a similar way to my Romantic Holiday Decorating with a Christmas Mantel Garland. But that wouldn’t stop me from using stronger colors and more complex pattern mixes in a table setting like this Christmas Dinner. 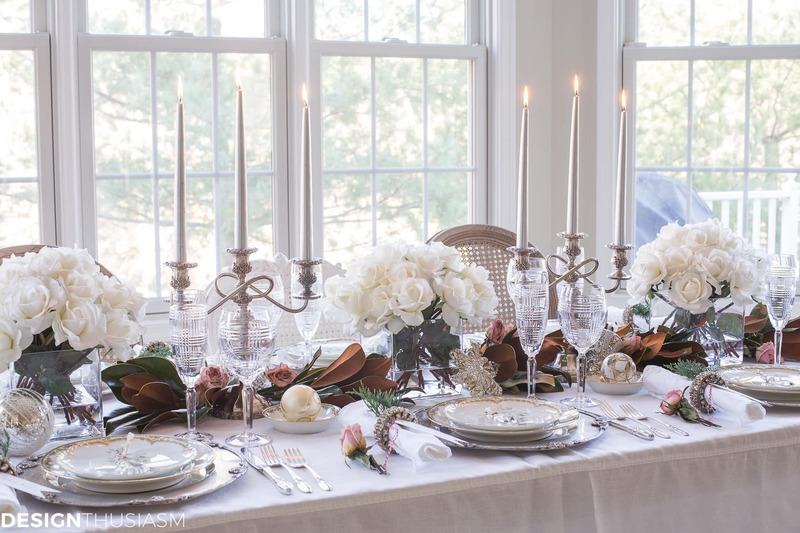 You can get away with so much more in a one time tablescape than you can when decorating the whole house. 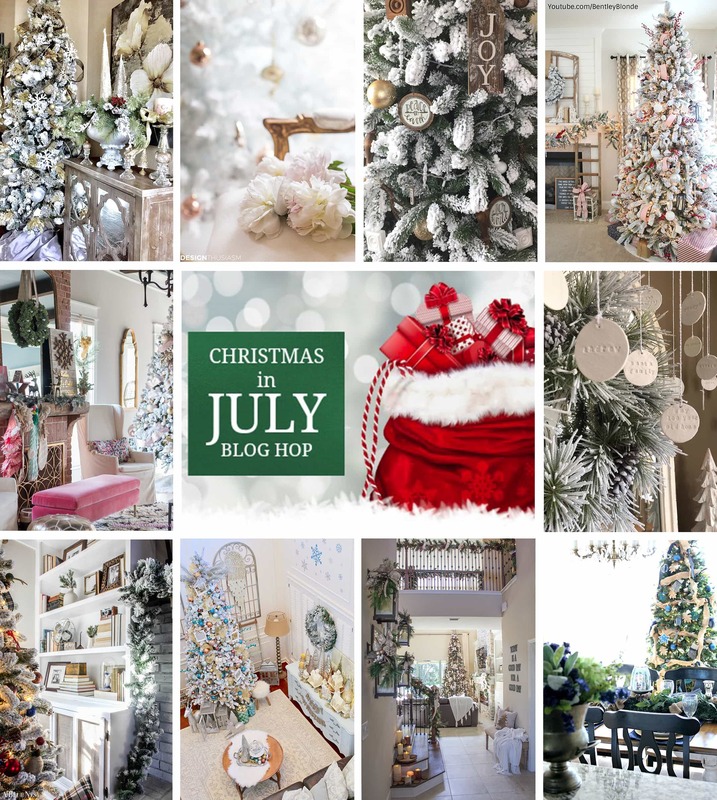 Christmas Colors Source List – To get the look, click on the items below for direct links to the products. Then keep scrolling for the GIVEAWAY and to see the other posts! 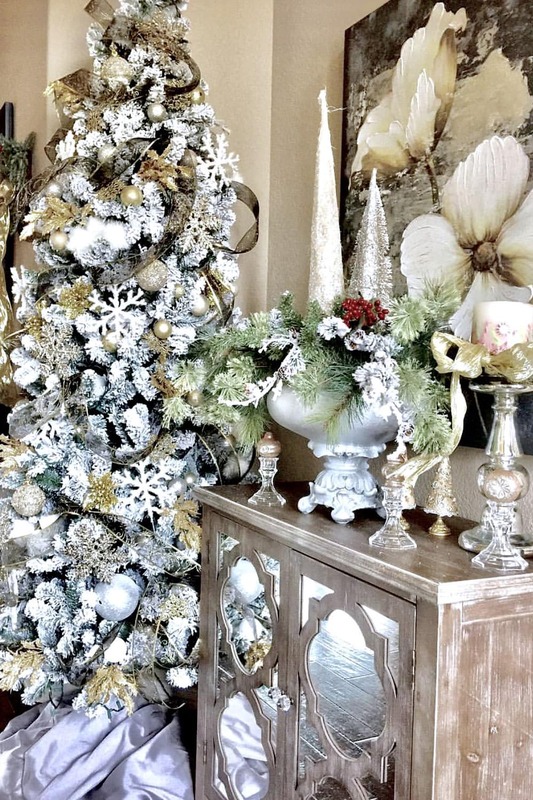 All of your Christmas décor was beautiful! Thank you for the chance to win! 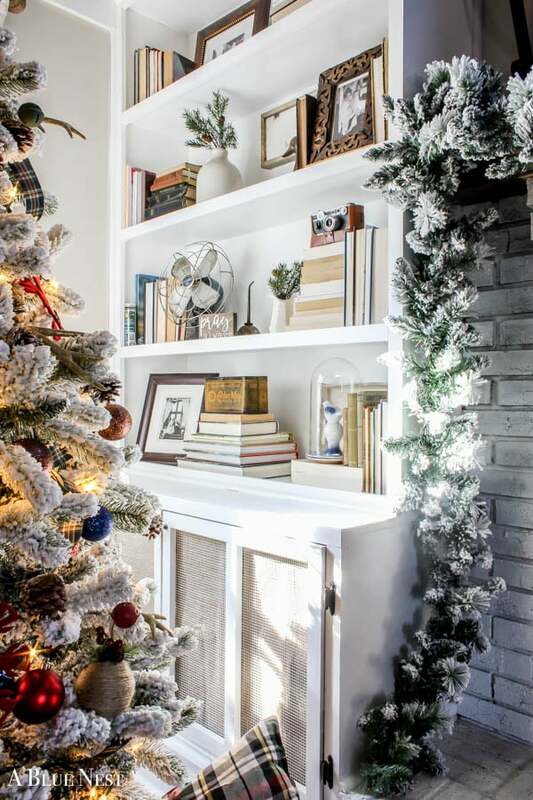 Love this post cannot wait to see your home decorated for the 2018 holiday season. It’s never too early for Christmas as far as I’m concerned. Thanks for helping us look forward to cooler weather! 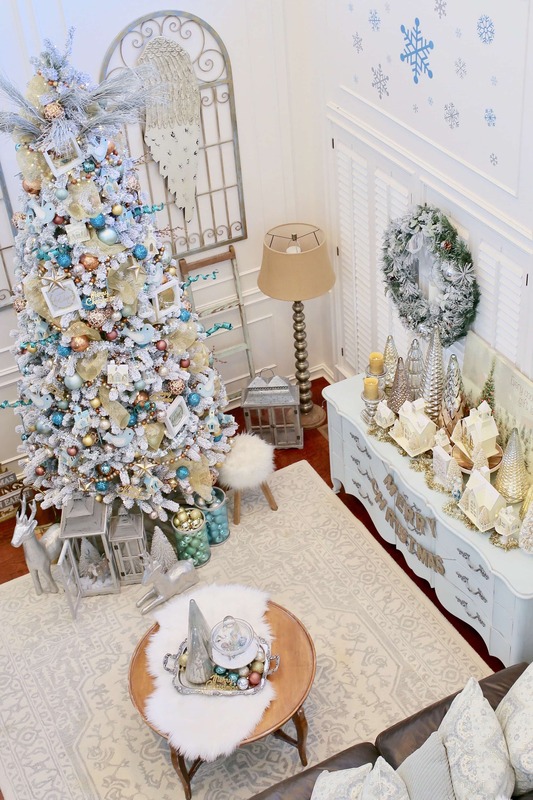 I am loving the variety of colors and styles that you have beautifully executed in your Christmas decor. 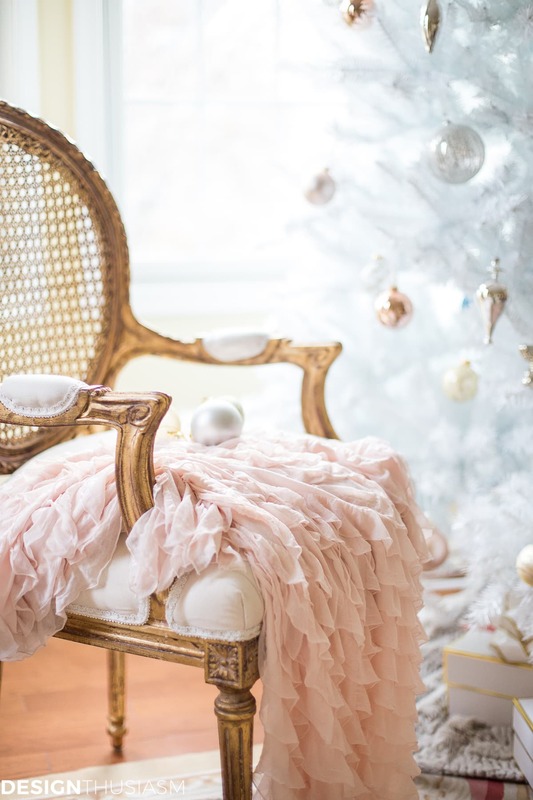 I am always a fan of blue and white, but the blush pink and metallics are stunning! I also love the tea cup on the tree! Anything unique and quirky is always a great way to express your personal style. Ooo Loving the rose gold! What a beautiful and refreshing take on the holidays! 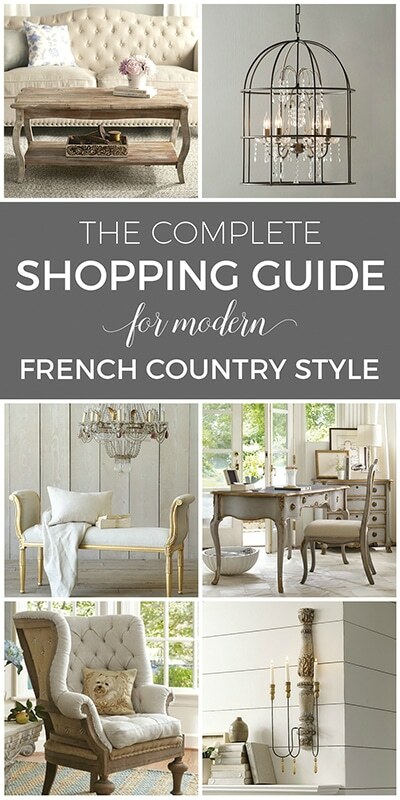 Lory, these are such great tips for thinking outside of the normal color palette! I’ve been contemplating sticking to blue and white myself this year! Love, love, love your wonderful style and colors. Thanks for the inspiration to start planning my colors for this Christmas. You are so talented Lory. Everything is so beautiful. Beautiful!! Thanks for a chance to win one of these AMAZING trees! This is not only a good time to sort through our existing holiday decorations (while we’re not in full holiday panic mode trying to get things out and up) it’s also a good time to donate those unwanted items. When I pulled into the donation lane at our local Teen Challenge Thrift Store in January, I greeted the nice volunteers with “Be of good cheer, young people. These are NOT holiday items. I’ll be back with those in late summer.” They thanked me most sincerely; they were already awash in tree ornaments, wreaths and garlands. I’ve been secretly thinking of Christmas too. I even snuck a peak at the trees in Hobby Lobby the other day. Love all the color ideas you presented! Time flies & the holidays will be here before we know it. 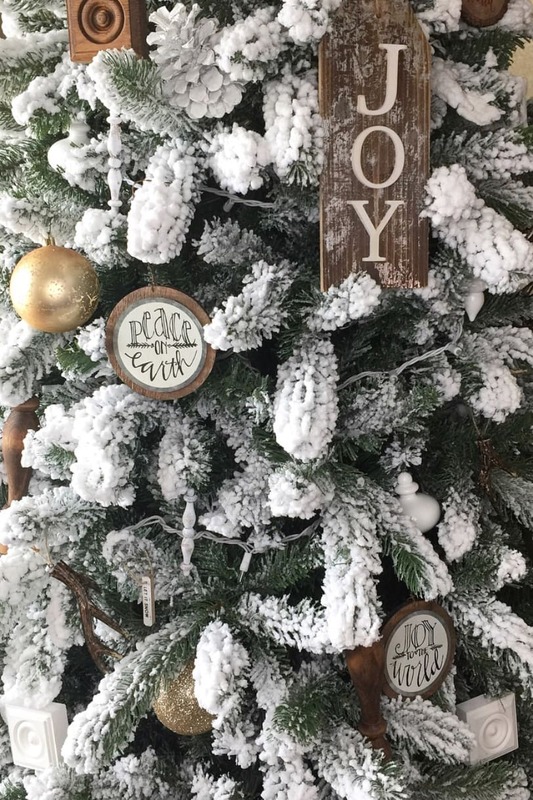 Loved seeing all the beautiful Christmas décor! It’s all so beautiful can’t pick a favorite. Looking forward to seeing what you come up with this year.